The Legal Immigration Family Equity Act and its amendments (LIFE Act) established a new nonimmigrant category within the immigration law that allows the spouse or child of a U.S. citizen to be admitted to the United States in a nonimmigrant category. The admission allows the spouse or child to complete processing for permanent residence while in the United States. It also allows those admitted in the new category to have permission for employment while they await processing of their case to permanent resident status. The Immigration and Nationality Act is a law that governs immigration to the United States. For the part of the law concerning K-3/4 nonimmigrants and their process of applying for permanent residence status, please see INA § 214 (nonimmigrant status); and, § 204 and § 245 (immigration petition and adjustment of status). The specific eligibility requirements and procedures for qualifying as a K-3/4, obtaining that status and applying for permanent residence are included in the Code of Federal Regulations [CFR] at 8 CFR § 214, 204, and 245. An approved Form I-129F, Petition for Alien Fiance, forwarded to the American consulate abroad where the non-citizen wishes to apply for the K-3/K-4 visa. NOTE: the consulate must be in the country in which the marriage to the U.S. citizen took place if the United States has a consulate which issues immigrant visas in that country. If the marriage took place in the United States, the designated consulate is the one with jurisdiction over the current residence of the non-citizen spouse. A person may receive a K-4 visa if that person is under 21 years of age and is the unmarried child of an alien eligible to be a K-3. So that the non-citizen spouse and child may apply for a K-3 nonimmigrant visa for a spouse and a K-4 nonimmigrant visa for a child, the citizen must file Form I-130 on behalf of the non-citizen spouse with the applicable Service Center having jurisdiction over the citizen’s place of residence. The citizen petitioner will then receive a Form I-797, Notice of Action, indicating that the I-130 has been received by the USCIS. The citizen should then file a copy of this I-797, along with a Form I-129F on behalf of the non-citizen spouse and any children, to the Service Center where the underlying I-130 petition is pending. Use the address listed on the most recent receipt notice or transfer notice and include a copy of that notice with your Form I-129F. Petitioners should be careful to follow all instructions on each form and provide the Service with all necessary documentation. 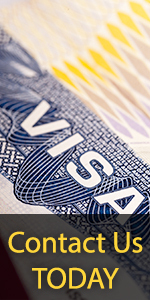 Following adjudication of the Form I-129F, the petition will be forwarded to the applicable consulate so that the alien beneficiary or beneficiaries may apply to the Department of State for nonimmigrant K-3/K-4 visas. You do not need to apply for a work permit once you adjust to permanent resident status. As a lawful permanent resident, you should receive a permanent resident card that will prove that you have a right to live and work in the United States permanently. Please see "How Do I Get a Work Permit?" for more information. Please contact the USCIS office that received your application. You should be prepared to provide the USCIS staff with specific information about your application.